In Indiana, marital property is commonly referred to as a “marital pot.” It is all the assets and liabilities a couple shares in the course of their marriage. When they are divorced, in essence everything gets poured into a “pot,” and it’s up to the court to decide the best way to equitably divide it all. There is a legal presumption under Indiana law that property will be divided equally (50/50). However, parties can overcome that presumption by rebutting it with evidence to show why there should be a deviation. The goal isn’t always totally equal division, but rather equitable (fair) division in light of the circumstances. Division of property is often one of the most contentious aspects of any divorce, and it’s one that often makes it to the appellate courts when one or both parties disagree with trial judge’s ruling. Such was the case in Carie v. Carie, recently before the Indiana Court of Appeals. 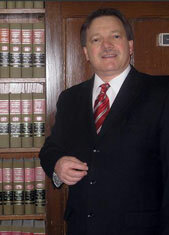 This was an Indiana divorce case involving a couple with one child. However, all issues related to child custody and child support were resolved. Disagreements were primarily regarding whether trial court abused discretion by failing to include marital liabilities in the marital pot and whether the court abused discretion in the valuation of certain assets. According to court records, husband purchased a home in 2004, before he began dating his future wife. Wife moved in about four years later, they had a child together the following year and the year after that, they were married. During their time together, wife decorated the home, made several home improvements, replaced the flooring, repainted the kitchen cabinets, landscaped and hung shutters. Throughout this time, it was husband who paid the mortgage on the $100,000 home. By the time they separated in the spring of 2013, the remaining balance on the mortgage was $79,000. Prior to the marriage – but while the pair were living together – husband installed a new roof and a new pole barn. The latter cost $20,000, for which he took out a withdrawal against his 401K. There were later tax consequences when his employer shut down and the withdrawal was converted to a loan. There were two vehicles purchased during the marriage, and those vehicles were later traded in for a smaller purchase after separation. Husband bought an ATV as well during marriage, and still owed $7,600 on it at time of separation. Both parties had retirement accounts. In the course of dividing marital property, trial court assigned husband with the fair market value of the vehicles and also determined the home – which he was allowed to keep – had appreciated in value by $30,000 during the marriage. Husband later appealed on both issues. First, he said the vehicle valuations were improper because they failed to take into account the actual amount owed. Rather, the valuation was the Blue Book value. Appeals court affirmed, finding husband failed to present any evidence as to his remaining balance on those vehicles. With regard to the appreciation of the home value, the appellate panel found based on the evidence presented, trial court made a decision on this point that was within the range of evidence and did not constitute an abuse of discretion. Arguing things like valuation and what should be included in the “marital pot” is often more complex than most people realize. Consulting with an experienced divorce attorney in Hammond will help ensure no critical evidence that could help your case is excluded.